Motherwort and catnip herb that stand tall and proud, reaching for the sunshine. I'm captivated by them. The close up of their tiny little blossoms give proof to me of a magnificent creator. The color and detail divine. It is written that the herbs and plants were given to us for food and for healing. I believe!! 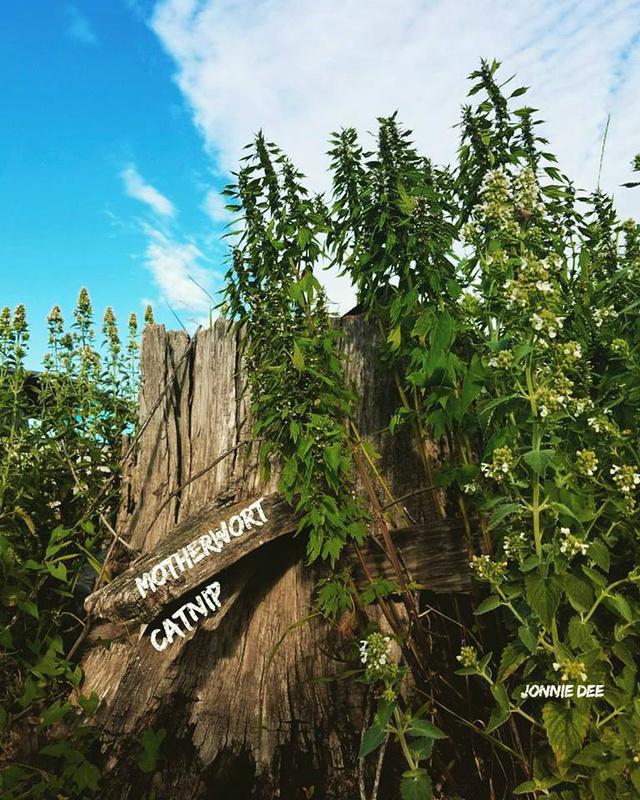 I used catnip years ago when my little ones had colic or gas. The motherwort is a good friend of the heart. Great for anxiety and restlessness. These are both blooming in Ohio now and I harvest them with a joyful and grateful heart. Google for their amazing gifts, but better yet, get a few good herb books and learn. Real books feel good in your hands. As I often say, find an herb, study it, use it, love it, give thanks for it, and share it.